Make the most of your vacation at the Happiest Place on Earth with these Disneyland hacks! Early morning line-ups can seem endless and a real time-waster before you even get through the gates. Many Disneyland Good Neighbor hotels offer the ability to purchase tickets from the hotel concierge or at a kiosk within the hotel (like we did last year at the Hilton Anaheim). If that’s not available to you, grab your tickets online or stop by the park via Downtown Disney the day before so you’re ready to stroll through the gates on play day. 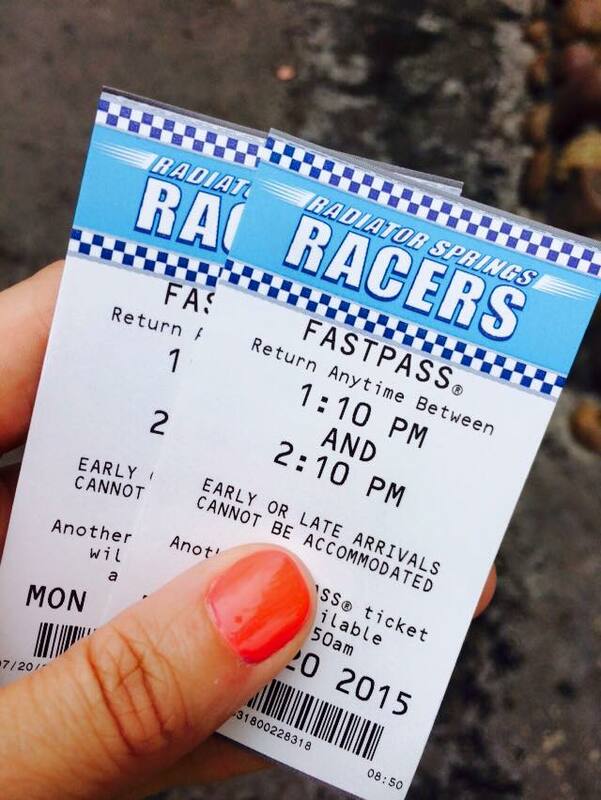 Most people know about Disney’s excellent FASTPASS system. (If you don’t, click here for a crash course.) But did you know that you can hold a FASTPASS for a Disneyland attraction and for a California Adventure attraction at the same time? This is my favourite Disneyland hack. Double-up on your FASTPASSes and be prepared to take park-hopping to a new level. As long as you’re always holding two passes and then picking rides with short line-ups in between, you’ll never wait long for a ride. PRO TIP: As soon as I enter the gates, I beeline for the Radiator Springs Racers FASTPASS distribution (located at the entrance to A Bug’s Land) and grab one before they’re gone. Then I hop back over to Disneyland and grab one for either Indiana Jones or Hyperspace Mountain and constantly grab more FASTPASSes throughout day. Speaking of wait times, while not technically a Disneyland hack, learning to use the single rider lines was game-changing for me! Some favourites, such as the Matterhorn Bobsleds, don’t offer the FASTPASS system, so to avoid long waits on hot days, take advantage of the single rider line. On the Matterhorn, for example, Rebecca and I waited no more than seven or eight minutes (as opposed to 50+ minutes like everyone else), and we still ended up in the same bobsled. 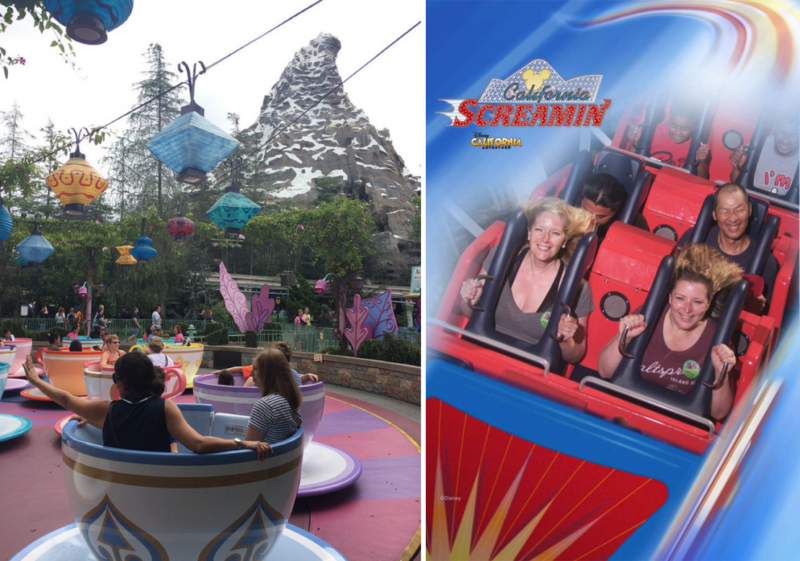 Choosing the Single Rider line will almost guarantee you a spot with minimal wait times – like on the Matterhorn Bobsleds or my new personal favourite, California Screamin’. The first time I went to Disneyland and Disney California Adventure, I easily spent upwards of $20 on bottled water. While I could have brought my Nalgene with me, I didn’t want to spend the whole day carrying something around – hands-free is the way to go! But did you know that any café or restaurant in either park that sells fountain pop will let you fill a fountain cup with water and ice – for free? This brilliant solution helps save a ton money and the environment. My favourite places to fill up are at Red Rockett’s Pizza Port in Tomorrowland and Smokejumpers Grill at Grizzly Peak. Another brilliant idea from the minds at Disneyland, I admittedly shirked the PhotoPass system the first time I visited, assuming it was just a bit of a cash grab. As I recently discovered, it’s anything but. Disney photographers are dotted throughout both parks, and for a flat rate, you can access unlimited photos throughout your visit. The beauty is that it also includes all your attraction photos (you know, the shots that are snapped when you’re at your most terrified), and then they can all be accessed and downloaded online. 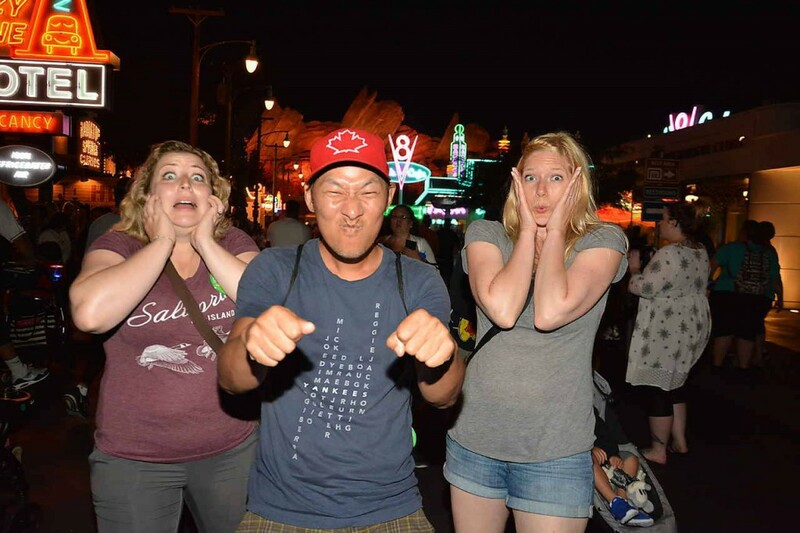 Using PhotoPass means everyone in your party gets in your photos – which is especially useful since selfie sticks are prohibited at the parks. I don’t need to remind you to download the Disneyland mobile app, wear comfortable shoes, and slather on the sunscreen, do I? 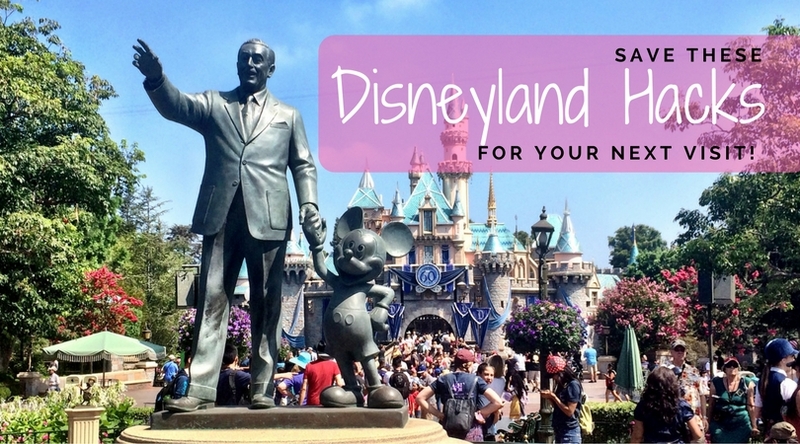 Any visit to Mickey’s stomping ground can be memorable, but with these few handy Disneyland hacks, I guarantee you’ll up the ante on your Disney days!